Last night we went to the area cemeteries and watered flowers on the graves of family members. 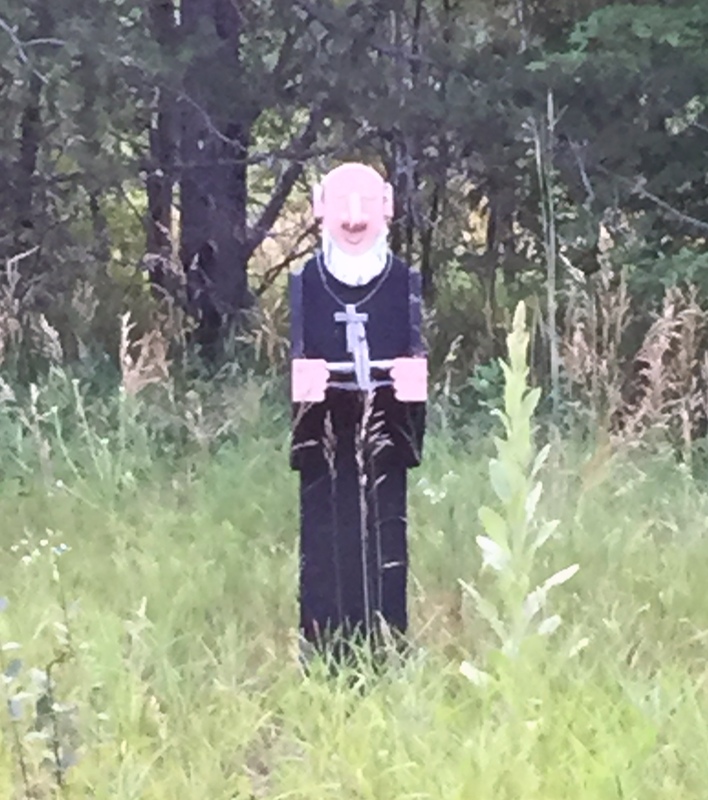 As we were leaving Lakeside Cemetery (Spencer Brook Township, Isanti County) we saw this figure of a priest along the road. As I was taking a photo of it, a man and his young children road up on their ATV. He explained that the ‘priest’ was there when he bought the property. It was placed there by the previous owner, a Vietnam war veteran, almost 20 years ago. Sadly, the veteran took his life by burning his house. The man on the ATV told me that he has touched up the ‘priest’ over the years and plans to leave the ‘priest’ there forever … in tribute to the veteran. Isn’t it interesting how the man on the ATV appeared at just the right time to tell me the veteran’s story.